(1924 – 1995) George Kennedy Gillespie was born in Belfast on 29 September 1924, the son of a bread server, George W. Gillespie. 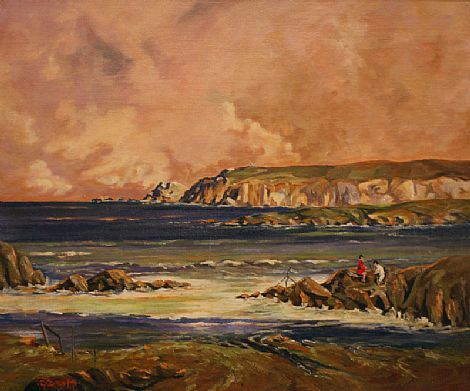 Educated at Belfast High School, from 1941 until 1945 he attended the evening classes at Belfast College of Art, studying jewellery, silversmithing as well as painting. 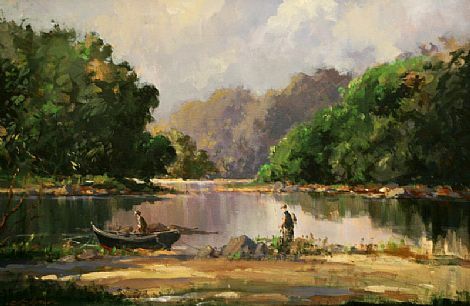 Interest in fine art was encouraged in the late 1950's when he attended painting classes in the studio of R. Boyd Morrison in Hollywood, Co. Down. In 1977, he retired from his bakery business and took up art professionally, working from his studio at home in Newtownards, Co Down. 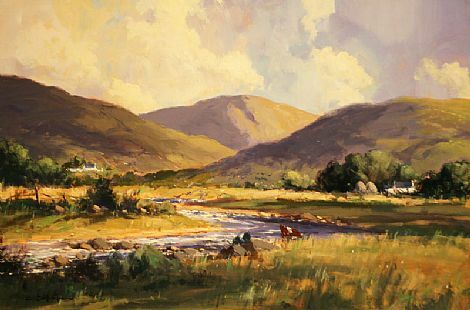 In 1980 at the Oriel Gallery Dublin, he showed 41 paintings, about a quarter were Co. Donegal scenes, also included were: Near Ardee, Co. Louth; Cushendun, Co. Antrim; Near Slane, Co. Meath exhibitions were also held at the Kenny Gallery, Galway. Mr Gillespie admired academic work of such Ulster practitioners as J. Humbert Craig and Frank McKelvey. Co. Donegal was his first love, for example Horn Head and Lough Finn, followed by the rugged scenery of Connamara and the West Coast. As he had to avoid prolonged exposure to the elements, the camera assisted him in his compositions. 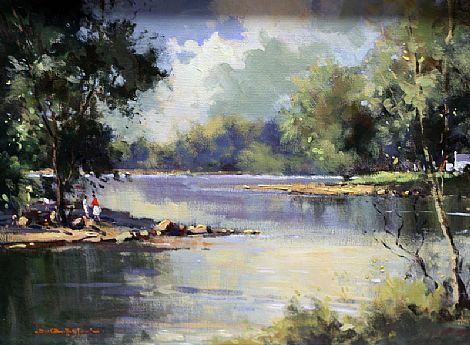 In the collection of the Department of the Environment for Northern Ireland there are twenty-three works. At the office of Public works in Dublin are 9 Landscapes. He died on 20 August 1995.